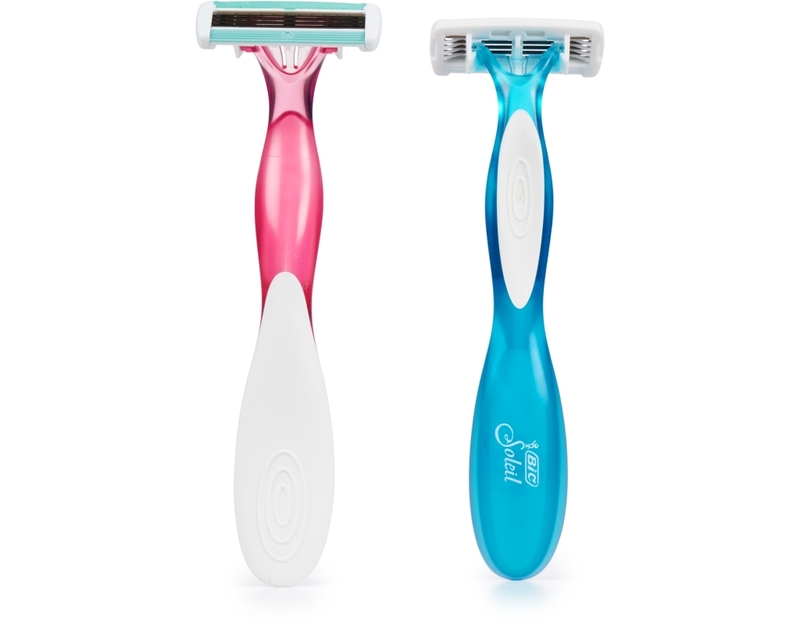 Made for every curve. 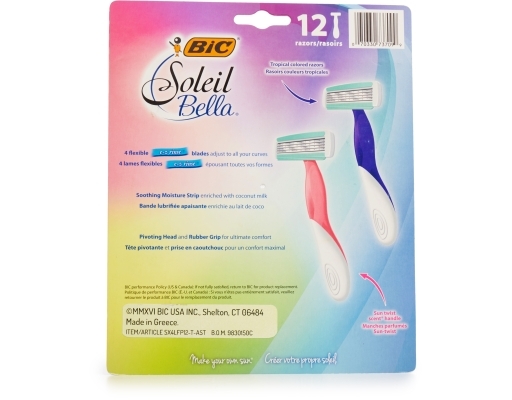 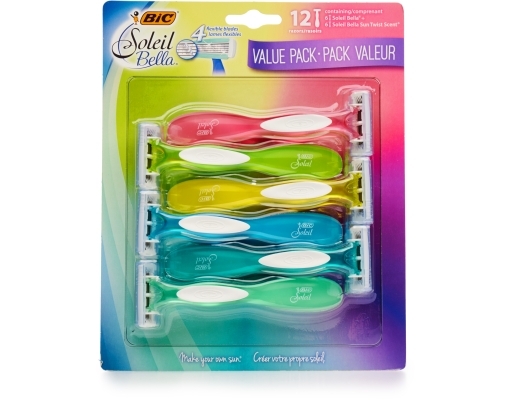 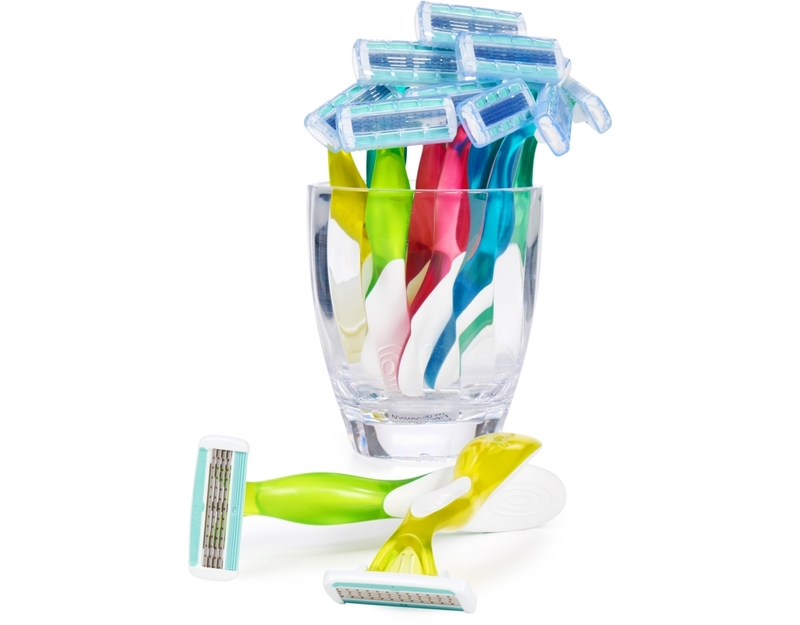 BIC Soleil Bella razors feature scented handles and four flexible e-z rinse blades that adjust to all your curves. 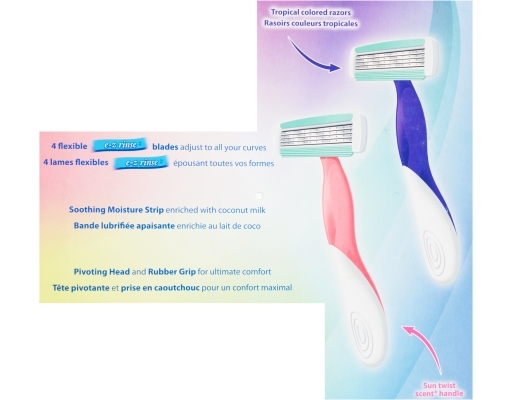 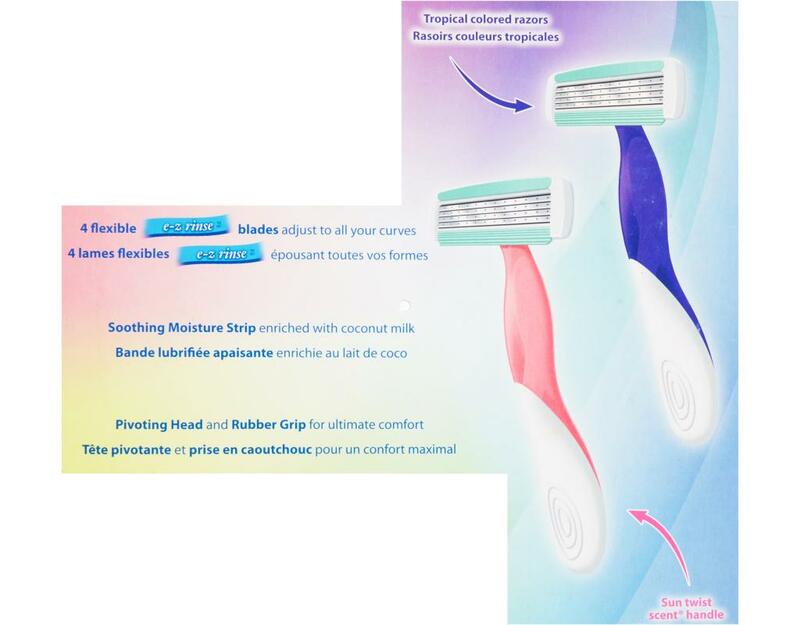 The pivoting head and rubber grip provide the ultimate comfort while the soothing moisture strip-enriched with coconut milk-ensures a smooth glide.